The fish kept biting this after noon. 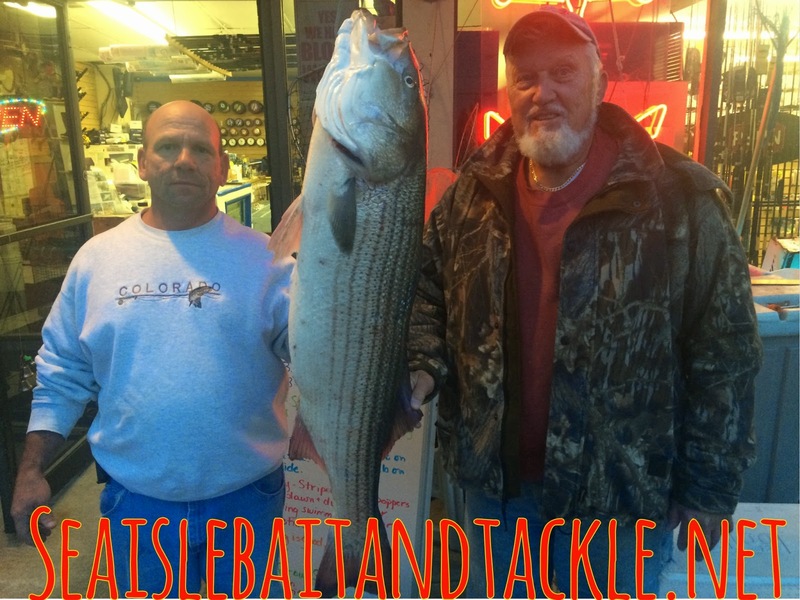 Bill and his friend Al went out to do a little late after noon trolling and found this 27.7 pound 43 inch striper. This fatty went after a umbrella rig and was almost lost back to the ocean when it broke the net aboard the boat. But don't worry they picked up a new net and another umbrella rig and are ready for the next trip. I fished this morning with Mark, Ron and Joe. We got a 41&1/2 inch striper. It was 25.6 pounds and that was after being bleed. 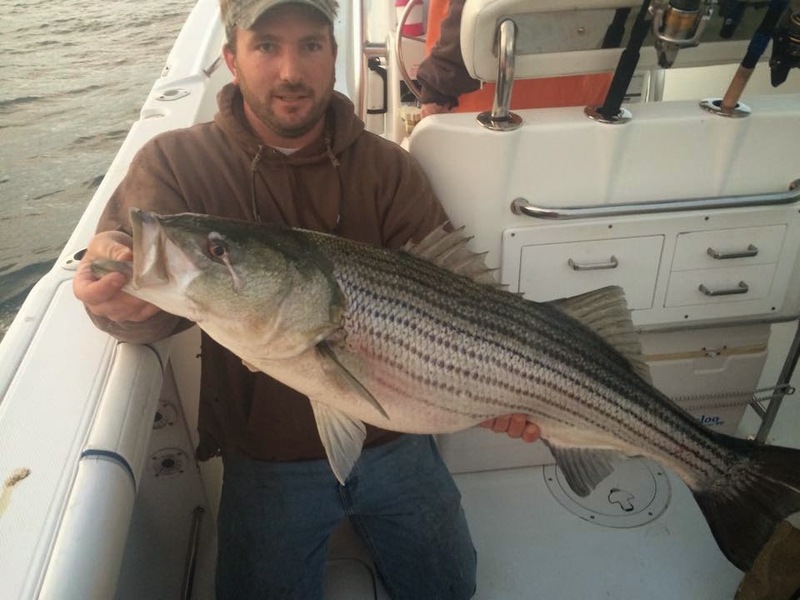 This fish took an umbrella rig we did see another fish similar size taken on a Stretch 25. 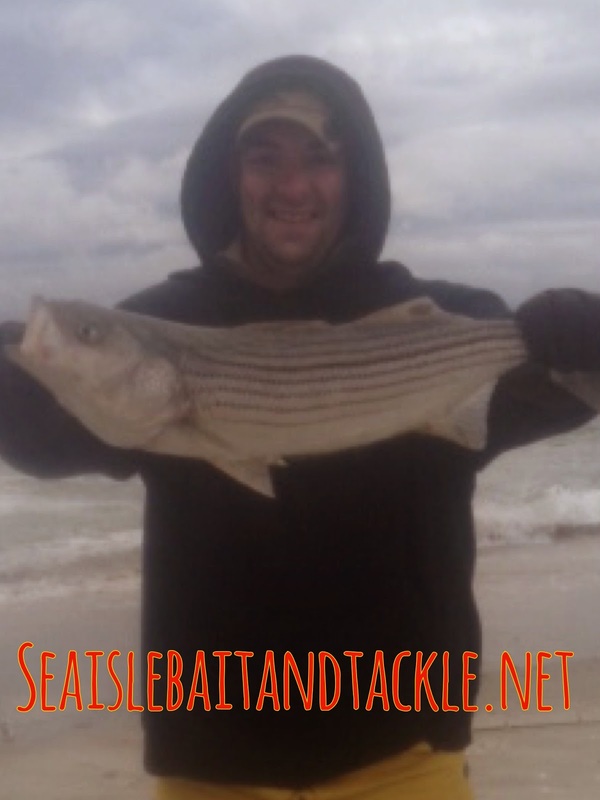 Despite the brutal conditions yesterday Josh and his Buddy spent most of the day fishing TI it was the only place they fund a little shelter from the wind and rain but there determination paid of with this nice 25 inch striper.